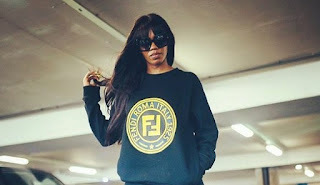 Nigerian Pop Singer Tiwa Savage's son looks cute in new photo shared on her instagram handle. 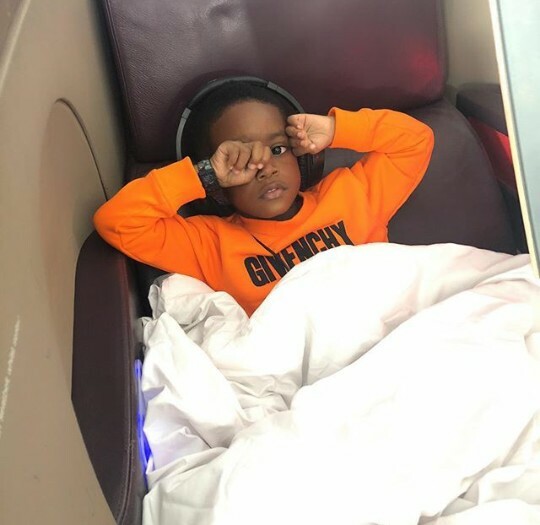 The Mavin First Lady shared the photo thanking her cute little son for suppprt keeping her company as she arrives london for her show. You were so awesome on the plane,❤ JamJam came with me for support.